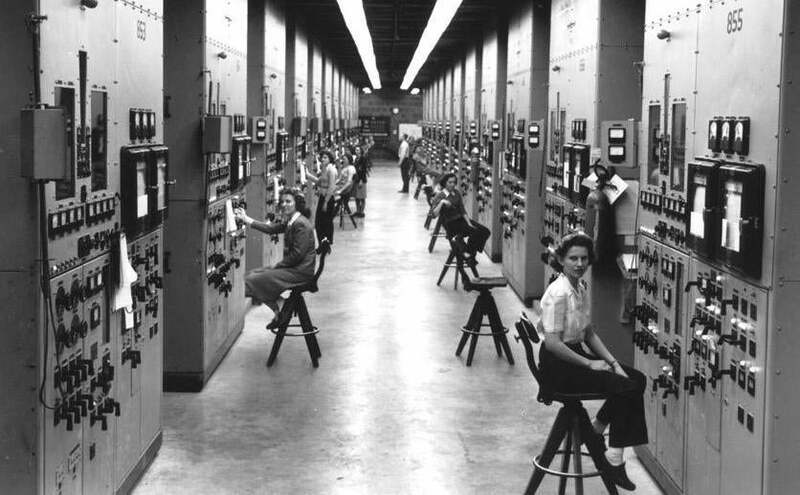 Women worked on the uranium electromagnetic separation process at Oak Ridge, Tenn. The black-and-white picture shows young women in the 1940s enriching uranium for the world’s first atomic bomb. The neatly dressed women sit in a large factory, their hands on knobs and levers as they look sideways at a photographer. Kiernan said what piqued her interest was learning that none of the women photographed had any idea they were actually helping to build a bomb. Her intuition that this would make a good story was right on. The picture Kiernan found while doing research is one of a series of captivating images printed in this narrative nonfiction book that brings a unique and personal perspective to this key part of American history. Kiernan encapsulates the stories of several women she met and interviewed who started their working lives in Oak Ridge, Tenn., a secret, government-built town created as part of the Manhattan Project effort to build an atomic bomb. Instead of the words of top scientists and government officials, Kiernan recounts the experiences of factory workers, secretaries, and low-level chemists in a town that housed at its peak 75,000 people trained not to talk about what they knew or what they did. She combines their stories with detailed reporting that provides a clear and compelling picture of this fascinating time. 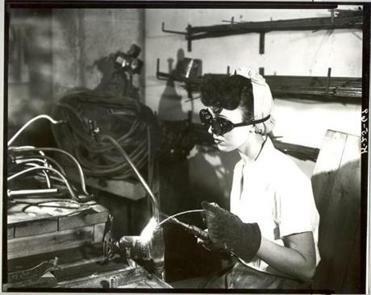 A woman welded as part of the secret project. “Tens of thousands of individuals, some still reeling from the Depression, others gripped by anxiety and fear as loved ones fought overseas in the most devastating war any of them had known — worked around the clock on this project, the details of which were not explained,” Kiernan writes. She starts the book with Celia, a 24-year-old Pennsylvania woman on her way to Oak Ridge with little knowledge of what she was going to do. Like others, she was told that her effort would help end the war, and that sufficed. Chapters develop along with details of the new town, a locale chosen because of its warm climate, its convenience to railroads, and its distance from major urban areas. Thousands of people were displaced as the government created a town characterized by guarded gates, deep, sticky mud, and barbed-wire. Kiernan also details the complex and sometimes discriminatory aspects of this community built in the segregated South. Black workers were housed in different areas than white and were given few privileges. Kattie, an African-American woman, tells how she was not allowed to live with her husband, when white couples could. Women were not considered “heads of household,” and were therefore ineligible for a single-family house without a male to lead the brood. While the project was created with the sole goal of enriching uranium for what was known by workers as “the gadget,” Oak Ridge became a community. Residents, many in their late 20s, dated, fell in love, went to dances and movies. They lived under the oppression and fear of saying too much. Some employees mysteriously disappeared and nobody asked why. They only learned about what they were doing in 1945, after the US government dropped the bombs on Hiroshima and Nagasaki, killing tens of thousands of Japanese. Days later, Oak Ridge residents celebrated when Japan surrendered and the war was over. Kiernan also shows how women were conflicted after fully understanding their involvement. Some of these women — now in their 90s — still live in Oak Ridge. Kiernan says she spent years listening to their stories, inspired by their courage, sense of adventure, and dedication to recounting the past. With her book, Kiernan preserves these rich stories for future generations.